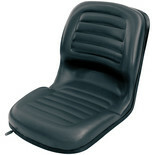 The wrap-around back rest provides added comfort. 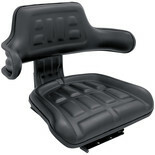 High back tractor seat with slide adjustment rail. 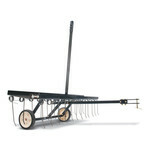 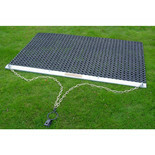 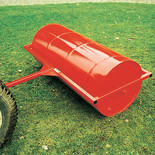 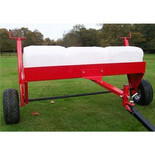 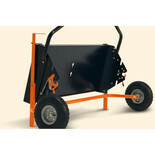 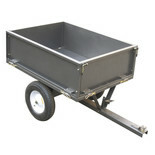 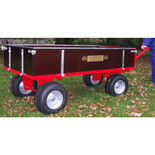 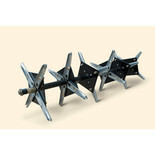 This heavy duty garden roller can be water ballasted. 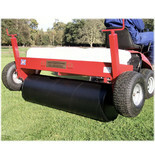 Roll diameter 450mm (18") Working width 1060mm (42") A scraper blade is fitted to the mounting frame to prevent earth build up on the roller. 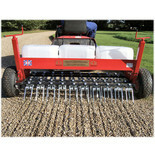 When fitted to the 48" Mounted Carrier Frame - F48M (sold separately), the roller attachment is an ideal tool to "firm up" grassed areas in the spring before the heavy growth period. 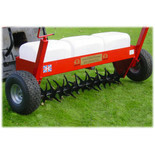 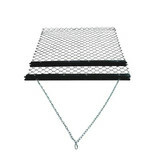 When fitted to the 48" Mounted Carrier Frame - F48M (sold separately), the aerator improves drainage by penetrating the surface, allowing air to the roots, improving the appearance of grassed areas.